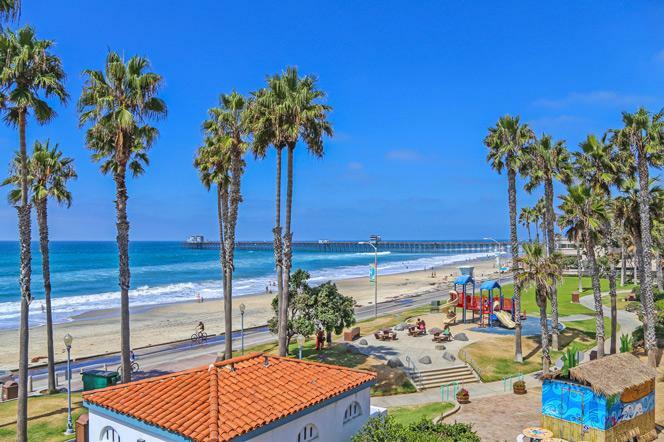 Flair Oceanside Condos offer one to three bedroom condos for sale in the northeast section of Oceanside. These are older units that were built in 1982 and offer town home living on multiple levels. The properties located here are technically a PUD which stands for planned unit development where the owners are responsible for the maintenance on their own individual unit. The Flair Oceanside association provides a nice community pool, spa and tennis court with dues including water and trash pickup. Real Estate prices are typically in the $300,000 range for a three bedroom condo. For more information on Flair Oceanside properties please call or email us today. All uses except for personal, non-commercial use in accordance with the foregoing purpose are prohibited. Redistribution or copying of this information, any photographs or video tours is strictly prohibited. This information is derived from the Internet Data Exchange (IDX) service provided by Sandicor®. Displayed property listings may be held by a brokerage firm other than the broker and/or agent responsible for this display. The information and any photographs and video tours and the compilation from which they are derived is protected by copyright. Compilation © 2019 Sandicor®, Inc. Listing information last updated on April 23rd, 2019 at 1:02pm CDT.